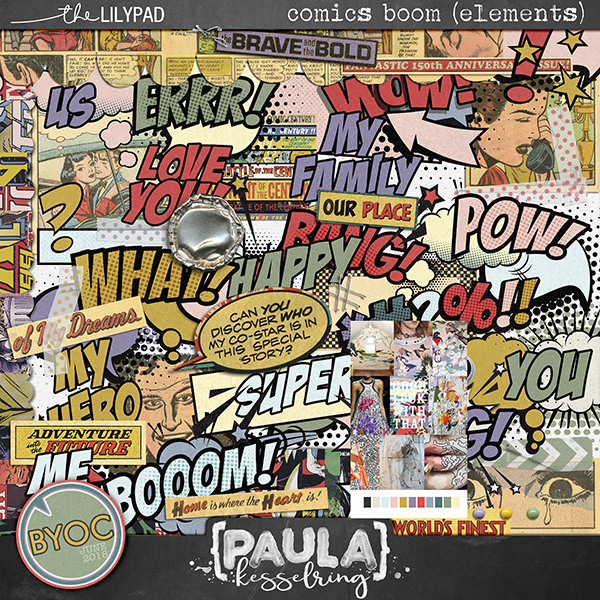 Comic Boom Colection is full of panels, comic speech bubbles, panels, words and everything to make your layouts boom!!! 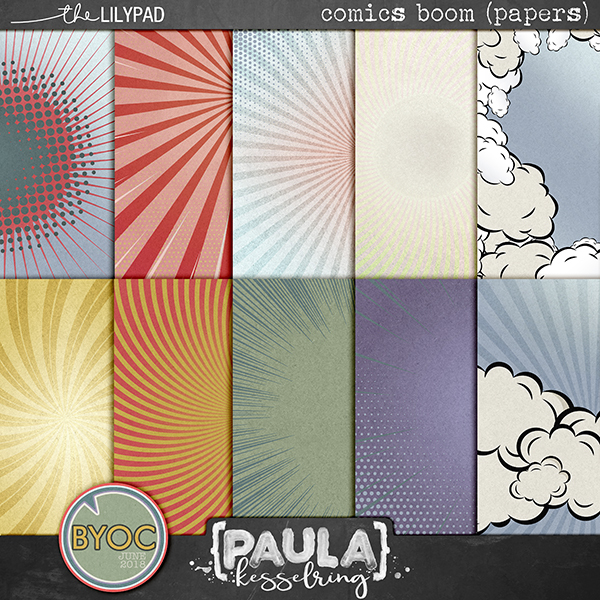 A Set of 6 Comic Panels in 4 different versions, that coordinate with the June 2018 BYOC, to use in your pages! 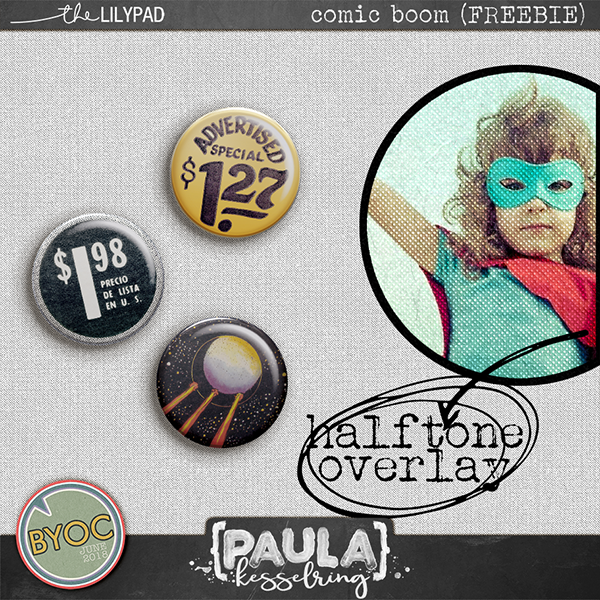 1 halftone photo overlay+3 flairs!!!!! They are created for high printable quality at 300 dpi and saved as .jpg, png, .tiff and .psd files.